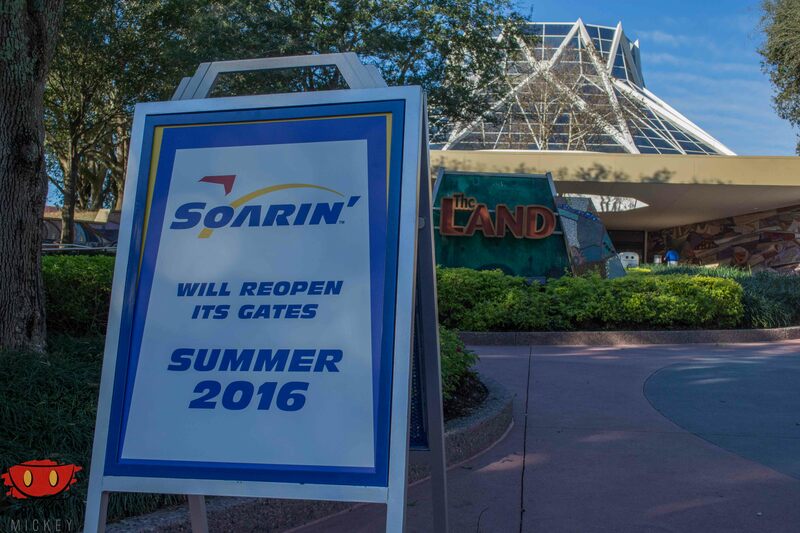 Walls are up and flights have been grounded at Epcot as Soarin’ is now closed until the summer. We made it out for the last flight over California. 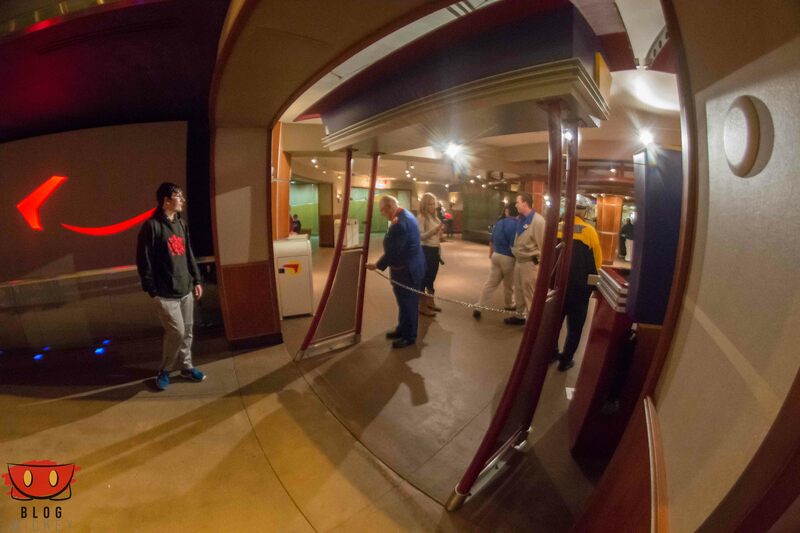 The refurbishment will add a new film to the ride as well as a new theater. Construction started over a year ago on the new theater and we got pictures of the land clearing a few weeks later. 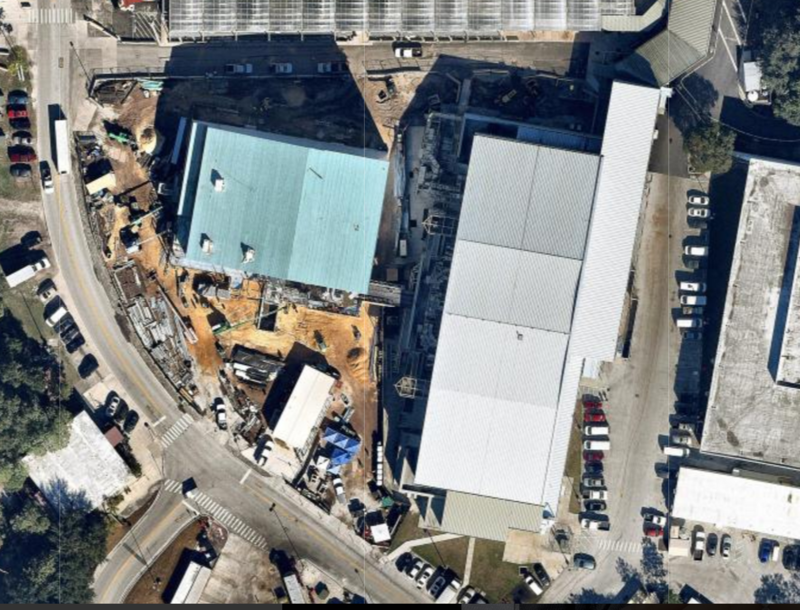 Here’s the latest picture that we have of the new theater (with the greenish roof) from our Before and After 2015 Construction post. The new film will take us around the world instead of just California. 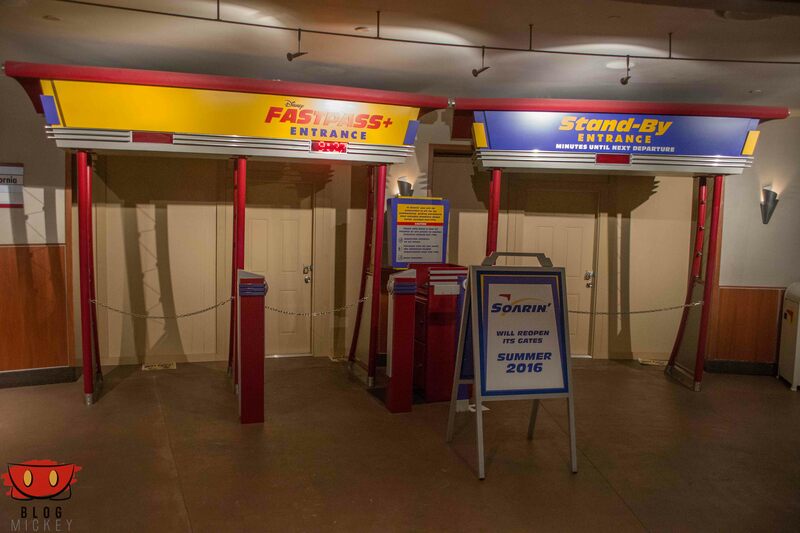 Here’s a sneak peek from the Disney Parks Blog of the making of Soarin’ Around The World. 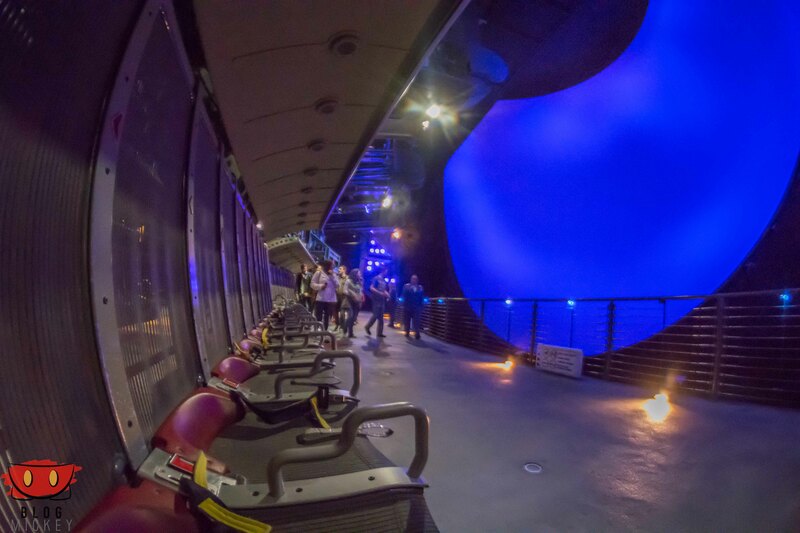 Soarin’ has long been one of the most popular rides at Epcot. The new theater will add more capacity and hopefully lower wait times in the long run. The new film, however, will probably add to wait times in the first few weeks or even months. The nice thing is that by the time the ride re-opens this summer, Frozen Ever After will have opened in Norway and should take guests away from Future World.